It is important to understand that your natural hair will shed every day. When using Lucinda Ellery Professional hair extensions your hair will shed in just exactly the same way as it does when not using hair extensions. There is an acceptable amount of hair shedding which generally equates to 20 per cent of the hair originally used to apply each extension. This hair will stay in the extension but shed from your scalp. If a client of ours is concerned and feels her hair is shedding more tha this normal range, then we should be contacted as soon as possible, though thankfully this is a very unlikely event. This is partly due to our thorough consultation process but also the ratio of our clients' hair used to secure each and every hair extension, and the gentle methods of application and removal which we use. Please be aware not to use a stiff brush or comb in the roots where your hair extensions are placed as this brush or comb could catch onto your hair and even break a few hair in the process. It’s important to only use the brush we recommend in the roots of your hair when extensions are in place, though any brush can be used just two inches away from the roots. 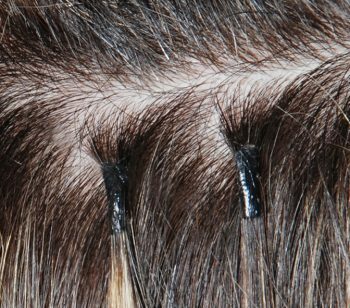 We use the safest bonding method in our opinion and our staffs are comprehensively trained in applying hair extensions, even to fine / fragile hair. We discuss this briefly on our website and in consultation appointments to ensure clients are fully aware of what is normal and abnormal. We recommend you to have test extensions for three reasons. Firstly to test that the hair extensions do not annoy you in any way. Secondly for any possible irritation to your skin. The third reason is to test your hair for instability. Having fine hair does not necessarily mean your hair is unstable and you cannot have hair extensions, indeed the contrary is almost always the case. Successfully testing your hair with the test extensions is not 100% conclusive that your hair is suitable for extensions, however it is a good indication that we can proceed. 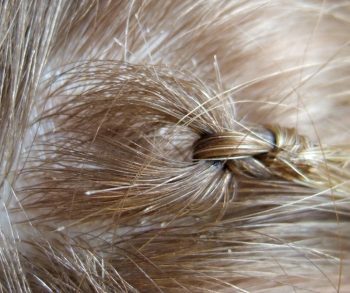 Please note thatd you should check you hair every few weeks for the first month or two for excessive hair shedding. It is highly unlikely that your hair is unstable but it is worth checking when having hair extensions for the first time.